Having some friends over at the last minute? Well no more long drives in to the city. 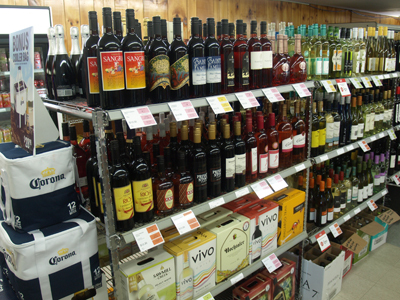 Come check out our wide variety of beer, coolers, wine, liquors and spirits. The Whale's Back is the local outlet for the Nova Scotia Liquor Commission (NSLC), is well stocked and open from 10 am to 9 pm daily. Check out some of our NSLC products in our photo gallery. Click here.